People for the Ethical Treatment of Animals and the new George Mason Animal Rights Collective joined together to bring the Liberation Project to campus. 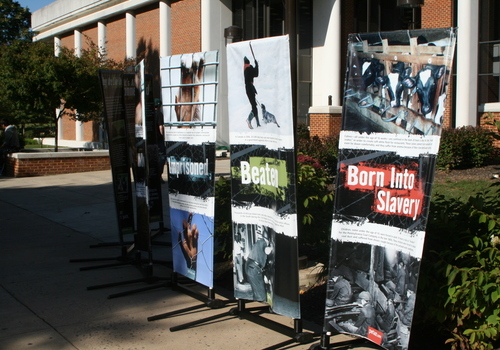 It featured graphic displays of animals being mistreated, and gave ways people could help their cause. See more photos of the PETA display. Click here for the full gallery.